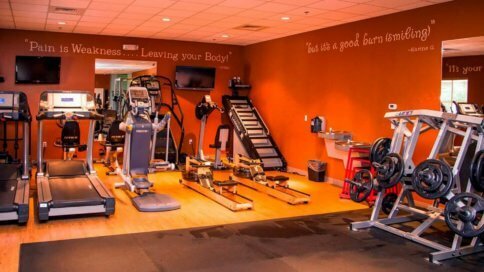 We are boutique health studio in Wellington, FL that believes in fitness, massage and nutrition are the foundation of a healthy, happy life. Whether you are looking to embark on a transformational journey, escape the stresses of everyday life or learn how to make smarter food choices – We have something for you. Living ncognito is a journey: a daily dose of camaraderie, a sanctuary in your busy world – ncognito is a lifestyle. We believe in challenging yourself, education, accountability, and understanding that in order to take care of others you must first take care of yourself. Come drop by the studio for a tour! We love having guests find out more about what living ncognito means. Stop in today or call us for more information. Become the person you wish to see in the mirror. Make the change today. Schedule your fitness evaluation. Kick stress to the curb! Give yourself the gift of relaxation. Massage therapy at ncognito. Schedule a massage. Take the power back! Learn how to break up with poor food choices. Schedule your nutrition consultation. 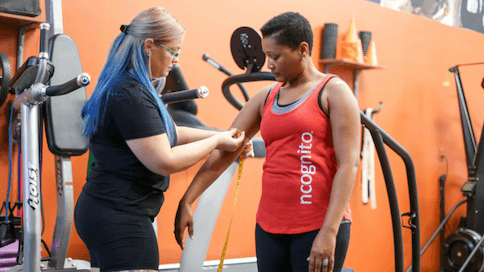 Ncognito provides personalized fitness training based upon a thorough evaluation of individual strengths, areas for improvement, and goals. 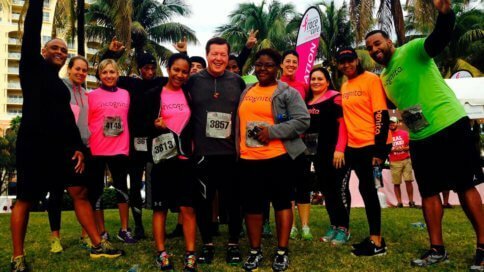 The Ncognito team safely guides clients towards a healthier life. I strongly recommend Ncognito center for a person at any fitness level. 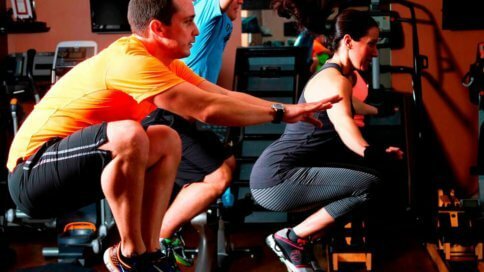 Whether you are new or have been regularly exercising all your life, you’ll find a personalized program in an intimate and supportive environment run by highly professional staff. I was so impressed with the way Ncognito addressed the needs of every client from 20-80 years of age. I signed up my 70 year mother, who is a regular and has made her own fitness strides (from never exercising before). 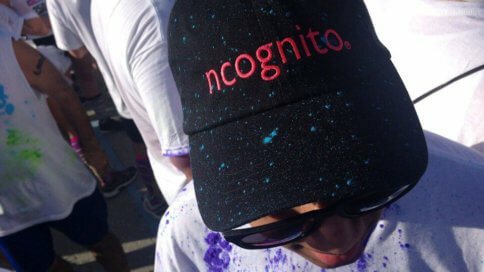 I recommend Ncognito to anyone with fitness, weight loss, or longevity goals. I’ve been a health care provider and nutrition expert since 1995. I’ve worked with many gyms and trainers throughout the years and Ncognito has by far out exceeded my expectations. 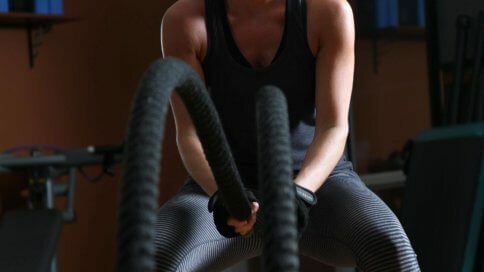 They provide a challenging workout, tailored for your physical needs. I have referred patients that have physical disabilities and have been very impressed with their outcomes. Even with my own ACL injury, they have not only helped rehabilitate my knee, but also help me shed 15 lbs! I am thankful to have found them! Weekdays: 5 am – 8 pm, Saturday: 7 am – 8 pm, Sunday: By Appts only. We have a spacious parking lot in front of our facility. Each new member receives a complimentary BPA free water bottle upon signing up for their membership. We have showers available for our members and first time guest’s use. Do you have open gym time? We do not have open gym hours as we only offer small group or one-on-one training sessions. All of our training sessions are appointment based and pre-scheduled. We ask for a prior day’s notice for any appointment cancellations or rescheduling. Cancellations or rescheduling that occurs the same day of your appointment may result in a charge for the session if we are unable to get that appointment slot filled. A no-show for any service will be billed at the full price. We will do our best to accommodate you but arriving late will most likely result in lessened time with us. Being that we are an appointment-based studio, your session will end at its set time so the next guest is not inconvenienced. Your full session time will apply. Can I switch my appointment time around same day? Yes – provided that we have availability at another time that day.